Scientists at NASA have announced that Voyager 1 is making its way through the very outer edges of our solar system. Sooner than expected, they say, the space probe will leave our tiny corner of the Milky Way behind, and become the first man-made craft to enter the dark reaches of interstellar space. Voyager 1 was launched in 1977 to explore the dominions of Jupiter and Saturn, and has been at the forefront of space exploration ever since. In the 1980s, it sent us unprecedented close-up images of these two gas giants and their moons, facilitating new discoveries about their history and makeup. From there, Voyager headed deeper into the recesses of the heliosphere. In 1998, it overtook Pioneer 10 to become the most distant man-made object from the Sun, and fourteen years later it finds itself at a distance of 11.1 billion miles from Earth, in a region of the solar system where solar winds slow down considerably – enough to let in certain cosmic ray particles that are usually deflected by these winds. This outer edge is called the heliosheath; a region so far away that the data Voyager 1 sends back to Earth take 16 hours and 38 minutes to reach us. So perhaps Voyager won’t make its mark with a sudden, defining event that echoes across generations as a sort of before-and-after dividing line across human history, like the line separating the time when a human’s voice had never traveled across a wire to an ear miles away – and when it had – or before a human foot had left its imprint on the moon, and when that print was there. But Stone is okay with that: “Well you know actually Voyager has had a lot of those moments as we flew by Jupiter, Saturn, Uranus, and Neptune. One after the other, we found something that we hadn’t realized was there to be discovered. But, the Atlantic admits, “it’s hard not to sit on the edge of your seat to wait for this moment – this months-long moment – to pass.” Gradual as it may be, it is a momentous event nonetheless. 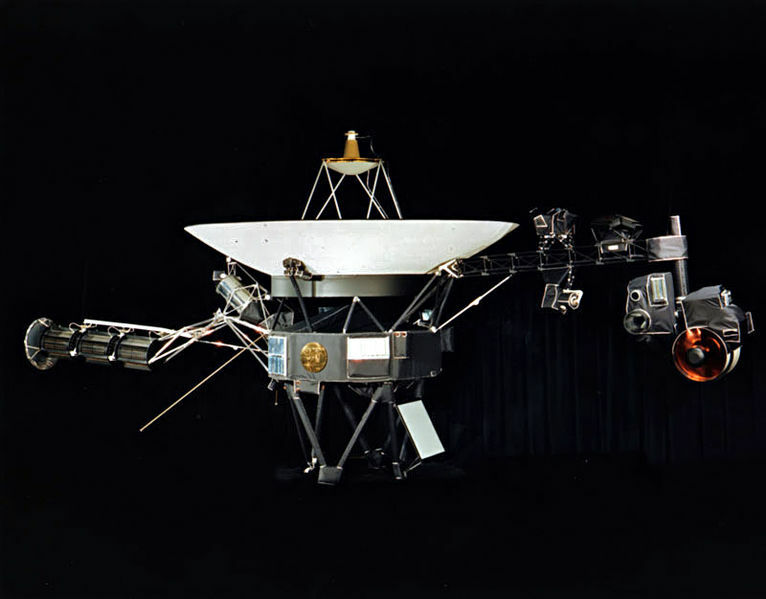 Not just because Voyager 1 is carrying us into a new age of space exploration, but also because it is doing so as a 35-year old mission, whose technology NASA has had no way of updating since its launch in the late ‘70s. The fact that NASA’s engineers and scientists were able to design a machine that would be able to communicate with Earth across decades worth of time and space – and that would be able to measure phenomena that had never been measured before – is in and of itself momentous enough to contemplate.